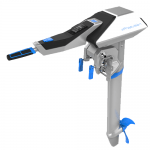 Epropulsion is a relatively new entrant to the electric marine propulsion market, having launched their first electric outboard motor – the NAVY 6.0 – in 2013, which later received the iF Design Award. The SPIRIT 1.0 kW motor, with integrated lithium battery followed in 2014. Spirit 1kW The Epropulsion Spirit bears some obvious resemblances in terms of specification and even appearance to the market-leading Torqeedo 1003, but also has some significant differences. Lagoon Kayak and SUP Motor. Lagoon can be used with nearly all kinds of SUPs, kayaks, canoes, as well as most other small-sized boats. 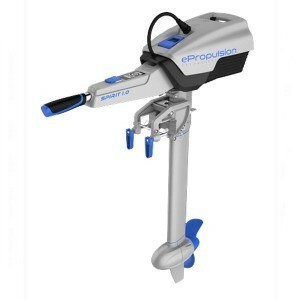 This motor can be easily connected to most SUPs, kayaks or small boats which have a fin or skeg mount. 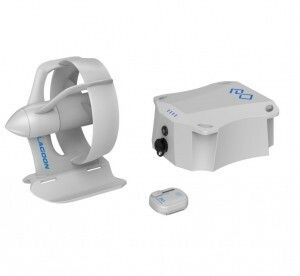 For those without such a mounting point, the LAGOON’s universal adapter kit means it can be fitted to almost any boat. Navy Series include NAVY 6.0 and NAVY 3.0. NAVY 6.0 delivers 6kw of input power, equivalent to 9.9HP in terms of propulsion. Its innovative design received IF Design Award 2015.